Xanne completed her "doctorandus" studies (Bachelor's & Master's) in Human Movement Sciences at the VU University Amsterdam. As part of her studies she conducted a research project at the University of Sydney and then settled permanently in Australia to do her PhD on the menstrual cycle and exercise performance. Upon completion of her PhD she worked as an Exercise Physiologist in musculo-skeletal rehabilitation. 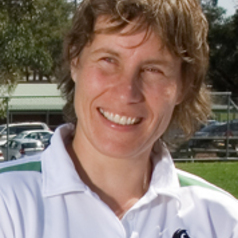 Since 2006 Xanne has been a lecturer in Exercise & Sport Science at the University of Newcastle, Australia. Besides her research interest in exercise performance in females, Xanne has been collaborating on applied sport science research with the Central Coast Mariners Football Club and has established research links with Podiatry. Xanne is the chair of the Sport Science Advisory Committee of the Judo Federation of Australia.